When and wherever the history of Zimbabwe Women Writers (ZWW) is talked about, you are likely to hear mention of such names of literary women as Barbara C Nkala, Virginia Phiri, Mary Tandon, Chiedza Musengezi, Coletta Mutangadura, Norma Kitson and many others. Yet in the past when particularly Ndebele literature was discussed, only male writers like Ndabaningi Sithole, Ndabezinhle Sigogo, Peter S Mahlangu, Isaac Mpofu, Lassie Ndondo and David Ndoda seem to have been worth of mention. ZWW came and disabused us of this “chauvinism” as it proudly flaunted the intellectual wealth of women writers who launched themselves either in the pre- or post-Independence eras (the old and new generation). The local literary establishment has never been the same again since the formation of the ZWW in the early 90s. The organisation brought to the fore the young and old, urban- and rural-based, women writers/poets who at one time lurked in the shadows of anonymity. There is, in today’s literary sector, certain celebration for the long strides made by women authors in making their voices be heard and acknowledged. Under ZWW, a new breed has been nurtured and inspired by the trailblazers cited in the introduction of this article. We give credit to these great mothers for their unfaltering vision to give voice to female writers. Bookshelf this week focuses on Barbara Nkala, one of the earliest female writers in Zimbabwe and an inspirational pillar in the history of ZWW. 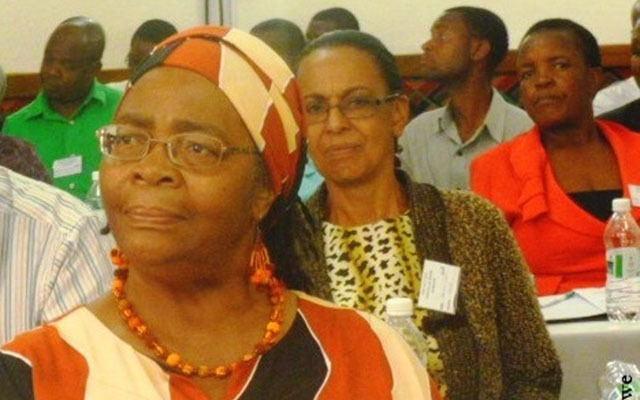 Barbara Clara (Makhalisa) Nkala, a professional editor, translator, church leader, has enormously contributed to the growth of local indigenous languages, particularly Ndebele. Although she “consolidated” her literary journey as far back as the 70s, in her childhood and teen years the gift had already begun to show. In the book “Silent Laborers” (2002, Matopo Book Centre and Radiant Publishing Company), Barbara’s rise from humble beginnings is vividly told with such grace by the author Doris Dube. The book is “a true account of testimonies on women who have given their service without a trumpet to sing praise for them”. In the chapter “Barbara Nkala: The Woman Who Radiates Love”, it is shown that as a child Barbara had the privilege to experience both urban and rural life. Whenever she visited her grandparents in the rural areas during school holidays, she would participate in the field work and house chores but when she found extra time she would be reading and ‘jotting notes in scraps of paper and endless notebooks’. The chapter is a good summarised biography of Barbara although it does not cover her present endeavours in the publishing industry. It somehow ends with the period when grown up Barbara joins Longman Publishers as an editor and rises to the position of commissioning editor. One salient feature the biography confirms about Barbara is her strong faith in Christianity which certainly influenced her choice of themes in her novels such as “Qilindini” (1974, Longman Publishers), “Umendo” (1977, Mambo Press) and “Impilo Yinkinga” (1983, Longman Publishers). All three, according to Doris Dube’s biography, were published when Barbara was a teacher. She therefore undeniably launched her career during the days of the Rhodesian Literature Bureau which, though colonial, published and promoted literature in local languages. Some of Barbara’s books have been used in schools and referred to in literary criticism. Critical analysis of her two books “Qilindini” and “Impilo Yinkinga” appears in the groundbreaking book “Zimbabwean Literature in African Languages: Crossing The Language Boundaries” (2012, BookLove Publishers) by Emmanuel M Chiwome and Zifikile Mguni. In the chapter “Morality and its Significance on Social Vision: Ndebele”, the critics review a selection of Ndebele books, among them Barbara’s two aforesaid novels which they describe as based on Christian morality or values. “Qilindini” traces the lives of a false traditional healer/charlatan and an irresponsible traditional chief. The two’s vices are exposed at the end. The critics however are concerned with Barbara’s fiction’s inherent indication that “Christianity has answers for the problems that are brought about by modernity” while it seemingly turns a blind eye to colonialism and its implications in the era the book was published. The critics rightly observed Barbara’s love for God in her novels, for Christianity is her beacon even in real life. She says, in her testimony in the book “Silent Laborers”, “I became a Christian at the age of 12 in 1961 . . . ” and since then her faith has been deepening. She has become a much loved elder in the church as well as the literary sector. Barbara has continued to write and publish, proving her mettle in both spheres. Today, she runs a publishing house named Radiant Publishing House which has become a valuable platform for the promotion and preservation of Ndebele literature. The company has so far published a number of books, among them biographies, fiction and theme-based collections of real life experiences of different people. The anthology “Thaph’ Uluju: Iqoqo Lezindatshana, Ilifa Lakho” (2010) include well-known authors such as Jerry Zondo, NoViolet Bulawayo, Virginia Phiri and others. How wonderful it is to note that in 2015 the National University of Science and Technology (NUST) awarded her an honorary degree in Philosophy in recognition of her sterling work in literature and publishing industry. The inspiring story of Barbara Nkala should be envied by the young generation. May there be more Barbaras of tomorrow just as writer Christopher Mlalazi “prophesied”, in a previous interview with Bookshelf, that there will be more of the Ndabezinhle Sigogo’s “not as replicas of him but as inspired writers like him”. Sigogo is also one of the celebrated Ndebele writers.